Jetwing Holidays, one of Sri Lanka's largest players in the leisure industry signed up with Mobitel's Club Magnate loyalty programme recently. This new partnership will provide for special discounts on Jetwing Holiday's tour packages for all Club Magnate members. With over three decades of experience in the travel trade, Jetwing Holidays offers tailor made tours to some of the most opulent and breath-taking destinations in the world. 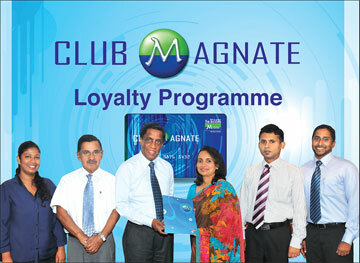 Mobitel's Club Magnate loyalty programme utilizes ground-breaking NFC technology, making it the first of its kind in Sri Lanka. The programme offers an array of benefits and discounts to its post-paid and pre-paid customers through an ever-growing partner merchant network.